The First Electronic Diesel Generators available NMEA 2000® Certified! Committed to maintaining our position as industry leader, Westerbeke introduces D-NET™ diesel generators with digital electronics and the first NMEA 2000®-compliant databus communications. Westerbeke D-NET™ marine generators feature digital controls for easy, intuitive operations. Scrollable digital displays provide clear, detailed information and diagnostics with LED lights that allow at-a-glance monitoring of important functions. 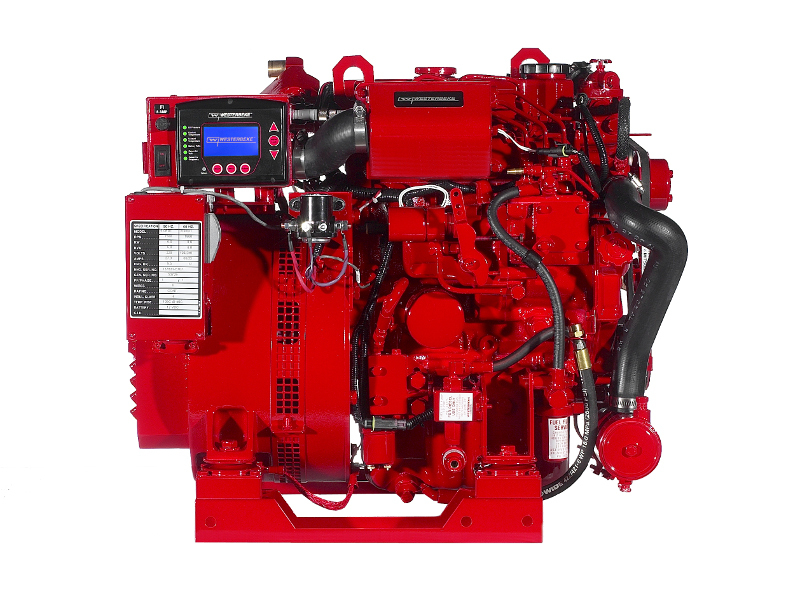 At the heart of our D-NET™ system are reliable, low-RPM, quiet and rugged Westerbeke diesel generators. Westerbeke's D-NET™ products range from 5.0 - 15.0 kW. All are offered with Westerlink as their standard digital output bus, with the NMEA 2000® databus offered as a low-cost option. These 3 & 4-cylinder marine diesel generators feature electronic governing to virtually eliminate "droop" when electrical loads are applied, and also employ a newly designed tuned air intake to further enhance quiet operation. Additionally, the entire system can be mounted inside an optional with stainless-steel base and framed enclosure with powder coated aluminum panels for the ultimate in "silent" marine generator power. Westerbeke's D-NET™ marine generator performance is matched only by our customer service performance, powered by a worldwide Distributor and dealer network. Whether the issue is parts, warranty, or technical service, our distributors and dealers are dedicated to making sure that every customer is taken care of in the most efficient way possible. Wherever you are, odds are that friendly Westerbeke D-NET™ marine generator support is close by. Click here for older models.